Solo albums are a tricky thing. Balance is important. Too much of one thing, too little of another, and the recipe can fall flat. A good solo album can show you how one particular member of a musical ensemble can shine outside of the typical confines of their “day job,” and a poor solo album can shine a light on how much a musician might rely on their other bandmates. 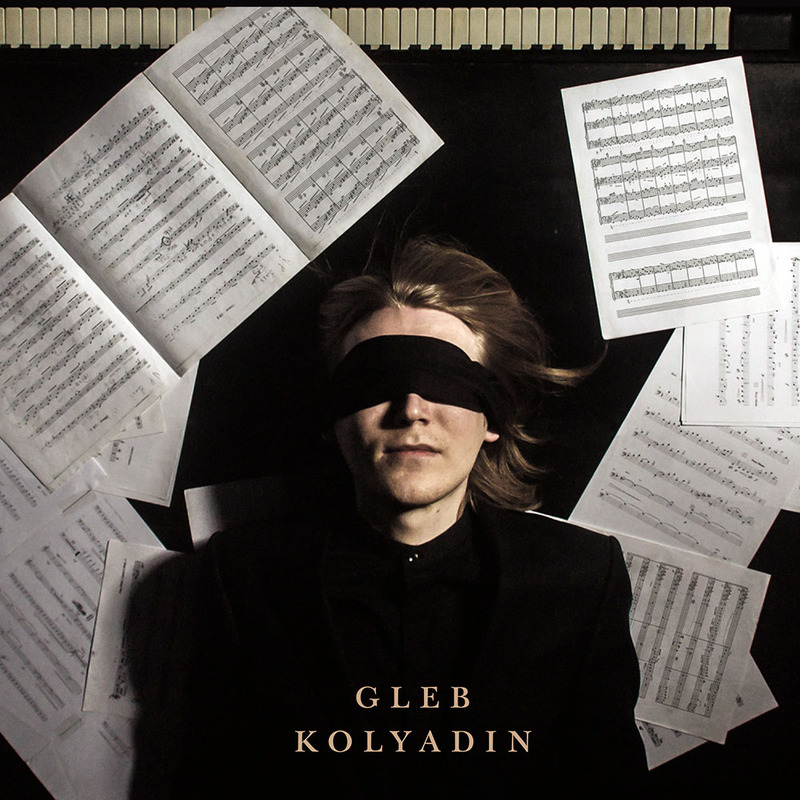 The debut solo album from Gleb Kolyadin, pianist and co-composer of Russia’s iamthemorning, is a third instance. It shows that a band (or duo, in this case) can be one kind of amazing when together, and one member of that duo can be impressive, or even possibly genius, on their own. Two towers that reach high into the sky and complement one another, yet each is a monument in its own right. That is the what we find in the self-titled album Gleb Kolyadin. Those familiar with iamthemorning are familiar with the sound that can be expected from the album… at first. After winning the PROG Award for “Album of the Year” for “Lighthouse” in September 2016, the duo of Gleb Kolyadin and Marjana Semkina have gone from relatively obscure “chamber prog” duo (though they are so much more than that) to more of a household name in the community of progressive music. “Lighthouse” is a fantastic album, but to some it might be a bit more safe at times than its predecessor, 2014’s Belighted, which is a sonic journey full of twists and turns and amazing atmosphere that can only be created in a controlled studio setting. That is where the new album Gleb Kolyadin (GK) takes us. It’s worth noting Kolyadin is not on his own in his first solo effort outside of his full-time band. Most notable is current KING CRIMSON and former PORCUPINE TREE drummer, Gavin Harrison, who lent his extraordinary drumming talents to the previous two iamthemorning albums. But Kolyadin did not stop there. Also on the album are progressive wunderkinder Nick Beggs on bass and Theo Travis on woodwinds, both known these days for their involvement with Steven Wilson (though each has accomplished much more than that). One could criticize Gleb Kolyadin for going for the obvious choice of three different Steven Wilson peers, but the more deserving sentiment is that Kolyadin’s playing is of such a high caliber, it demands musicians who can play at his level and bring about a like-minded sound. Aside from Harrison, Beggs, and Travis, Kolyadin is joined once again by frequent iamthemorning contributor Vlad Avy on guitars (who also did an amazing job at mixing and mastering the album), as well as Evan Carson on bodhran and percussion. That makes up the core band. They’re also joined by a slew of string players and background vocalists, and a percussionist (Grigorii Osipov) who deftly handles vibes, marimba, and glockenspiel throughout the album. Like any progressive solo album worth its 180g weight nowadays, GK of course boasts a few famous guest musicians. Mick Moss (ANTIMATTER) and Steve “H” Hogarth (MARILLION) both provide lead vocals on the album, and Jordan Rudess (DREAM THEATER) provides a particularly gnarly solo on the album, but more to come on all of that later. GK is an album which deserves a focused and uninterrupted listen for the first time. Headphones might not do it complete justice, though. If the listener has the means to crank up some decent speakers and really let the album breathe while they sit in that sweet spot, then that’s the optimal way to listen, at least when taking it out for its first run. iamthemorning’s last couple of albums have been recorded and mixed by Marcel van Limbeek (TORI AMOS), so it was surprising to see that veteran iamthemorning guitarist Vlad Avy was responsible for mixing and mastering GK. The album is sonic glory. While listening, one can’t help but think the phrase “wall of sound,” at times, but not in the way we’re all familiar, like Devin Townsend’s trademark, or what ALICE IN CHAINS has employed on their post-reunion albums. When this album is loud, it is incredibly loud, and yet nothing is lost in the mix, nor does it distort or push a system too hard. A testament to Kolyadin’s composition and Avy’s mixing/mastering is that the listener can pick out what every single instrument is doing during forte moments, which is incredibly important when so many non-electric instruments are employed in the creation of GK. And yet, during the moments where the album breathes and takes a moment to reflect, the listener can hear every bit of reverberation, every crashing wave, every calling seagull, floating on the breeze. The dynamics are breathtaking. GK fights the good fight in the loudness war. Musically, GK is hard to describe. It might be best described as modern classical. That’s not to confuse it with the somewhat oft-dissonant post-classical classical music of the past hundred years, where classical has become much more experimental since the advent of “popular” music. GK feels like the better post-Beethoven composers of classical music (Liszt, Dvořák, Paganini, Mussorgsky, Chopin, Grieg) were dragged into the 21st century by a pianist who sold his soul to the devil. The word virtuoso is used far too often these days, but to hear playing that is truly virtuosic is an absolute wonder. Kolyadin’s piano playing is confident, capable, and commanding, but he knows taste. He knows when to be quiet, when to let a note linger and let the sustain pedal work its magic. He understands the space between notes. But this album isn’t all flash and no substance. Kolyadin’s performance is the foundation upon which the rest of the album is built. He knows when to let other instruments take the melody, or even when to take a solo spot. When the full band is playing in unison, the listener knows it, too… feels it. A possible contemporary of Kolyadin’s who comes to mind is Japan’s Hiromi Uehara (better known simply as Hiromi). She commands her jazz combo in much the same way Kolyadin clearly commands his studio. The two overlap in the progressive realm, but where she darts one way in a Chick Corea inspired jazz meltdown, Kolyadin heads the other way to meet up with the father of piano virtuosity, Franz Liszt. The album opens innocently enough, with “Insight,” the type of song that would be a good opener at a concert. It grabs the listener’s attention and gives an example of what to expect from the louder and more “prog” moments of the record. Then “Astral Architecture” begins, and we’re shown the other side of what to expect, in one of the best songs on the album. 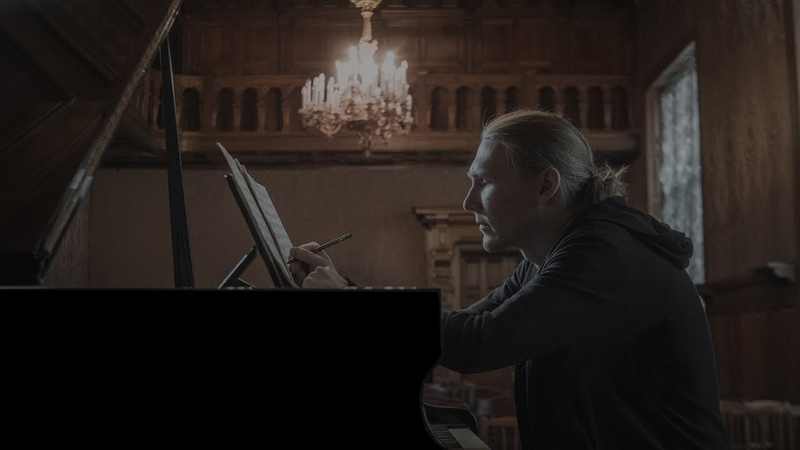 Kolyadin’s somber piano comes in, and within moments, his melody develops to include a sort of repeated notes melody inspired by the more tender moments of Liszt’s “La Campanella,” which is so sweet it makes your chest ache and your heart yearn. Then we are joined by the deep, throaty voice of Mick Moss, whose performance is as heartfelt as ever. The tinges of vocal fry in this performance could make one wonder momentarily if we’re hearing a lost recording of Peter Steele. Once the percussion enters in full, the melody begins undulating, and the melody is supported by faint strings and harp scale runs, as the listener is propelled into space to drift lazily among the firmament as Moss’ vocals leave us, and Harrison’s tight snare work takes us into entropy. The way Moss’ vocal performance is handled on the album is reminiscent of how Marjana Semkina‘s vocals are often heard in iamthemorning, as one of many instruments at their disposal, to be stacked and harmonized and used to play a crucial role in the never-ending layering. As one song ends and another begins, it is not simply a collection of songs, like listening to a typical rock record. Every moment on GK matters. The short time between the end of one song and the beginning of the next feels more like a breath from the performer before resuming, as the audience holds its applause ’til the end. The next song, “White Dawn,” begins softly as sort of a fugue with piano bass and treble lines flirting with each other as the rest of the ensemble dances around them, building atmosphere. Then it ends abruptly and we are treated to the fireworks of “Kaleidoscope,” with great playing all around. Harrison’s drumming is perfect, accentuating every bit of the melody. Kolyadin’s piano is all over the place. The vibraphone is in perfect unison with it. The song grows and is every bit as inspired as Dream Theater’s “The Dance of Eternity,” as we find ourselves with female vocalizations joining the fray. Then from out of nowhere, Theo Travis’ flute takes over like a love letter to Thijs van Leer, and the rest of the band jams away underneath. Tension builds as saxophone and percussion push everything forward. Then suddenly, we move up and up, and surprisingly the synths come in and take over, and it’s a welcome funky addition to everything we’ve heard so far. Finally, as quickly as the euphoria took us over, everything reaches fever pitch, and with one last reprisal of the main melody from the piano, flute, and percussion, we’re out and onto the next segue piece. Over the next few songs, we are treated to more adventure, with jaunty solo piano transitioning into sustained notes so long and so huge that they fill up entire galaxies. As we slip back and are almost fooled into unconsciousness, the jaunty piano returns with a renewed intensity and possibly anger, until we find ourselves in what sounds like a seedy cabaret scene right at home with Humphrey Bogart or Nightwish‘s “Slow, Love, Slow.” After some more “moving the album along” piano and sax work, we eventually meet a new friend on our journey, the inimitable Steve Hogarth of MARILLION, on the over-ten-minute Confluence. If one is familiar with Hogarth’s Marillion work, they might expect this to be the “epic” of the album. And in a way it is. But h surprises us with a minimalist performance of spoken word lyrics before Kolyadin and the rest of the instrumentalists take over again. It’s more of the same, but so much more than just more of the same. We are treated to more great instrument choices in the way of fretless bass, hammered dulcimer, and even the horror movie trademark waterphone after a while, showing just how limiting the descriptions in album liner notes can be, and how this album deserves a “making of” featurette. We have our Crimson-esque loud moments again as we go, of course, with Gavin Harrison punishing his drum kit as just-loud-enough distorted guitar chugs away in time. And to balance that out, we end up with music which would be at home in a Victorian-era ghost story such as the film “The Others,” to let us know we are never truly safe in such an album. The astute listener might be wondering when Jordan Rudess will be heard. They might wonder if Gleb Kolyadin is so good that maybe they missed the moment when Rudess appears. Like a villain, perhaps at the end of that Victorian ghost story, Rudess lets us know he is there, with such intensity and savagery as some of his best playing we’ve ever heard in his long and storied career. And just like that, we are back around to our friend Hogarth for what, sadly, is the final song of the album. But we are changed. We have been through something since we last heard from him. “The Best of Days” begins with piano chords in a subtle waltz time hitting the listener like the moment after a death scene in their favorite movie. Hogarth reassures us, though, “it all worked out like [he]thought it would.” Whether he means it sincerely, the listener must continue listening. From the dark chords and Marillion-esque rotary effect guitar of the song, one thinks the “soulmate” of which Hogarth sings might not make for the plucky hit single of the album a more traditional record might hope for. And as Hogarth fades away, reassuring us it’s all working out, we are left to ponder his words as the oom-pah-pah of the fretless bass leaves us at unease, and the album closes. Gleb Kolyadin, in less than an hour, shows us that the awards and accolades received by iamthemorning are not a fluke. He shows us he is not someone shredding away on their instrument. He shows tremendous depth, maturity, mystery, and vulnerability in both performance and composition. And he shows us how respected he is becoming in the world of progressive music by the company he keeps. This album makes the listener’s breath and heartbeat hasten, as it alternates between languid beauty and total urgency. It is a landmark album in a career already quickly filling up with landmarks. In the next couple of decades, it will be looked back upon as a very important record. Soon, we will most likely hear more from Kolyadin’s iamthemorning, as it is his bread and butter, but those who have heard the album Gleb Kolyadin will continue to wait patiently for the next glimpse into this cold, unearthly, transcendental world he has created. One of the best reviews I’ve ever read. Also making justice to one of the most refreshing and memorable music works for the last 10 years. And this is not an exaggeration.